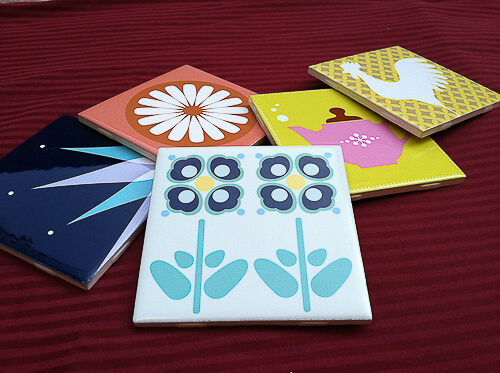 Heritage Tile has just introduced three designs of sculptural tile inspired the Saul Bass’s 1960s designs for Pomona Tile. 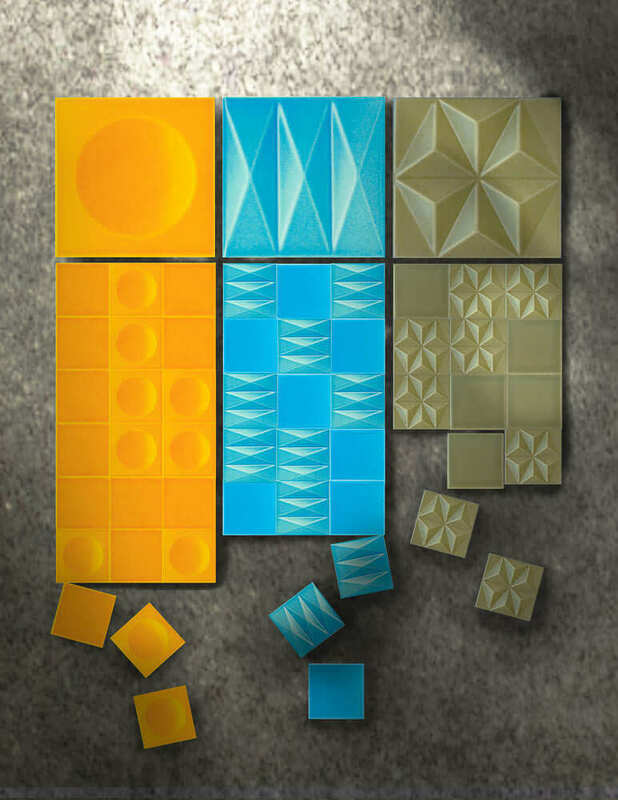 Also known as dimensional tile, or bas relief tile, due to the three-dimensional quality of the molding, these tiles are suited to true midcentury modern design (not so much midcentury modest.) 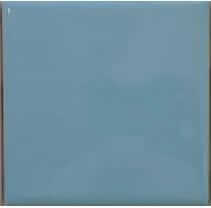 These tiles could look particularly smashing around a fireplace or feature wall, where they can make an artistic statement all their own. Thanks to reader Brandi for this tip! 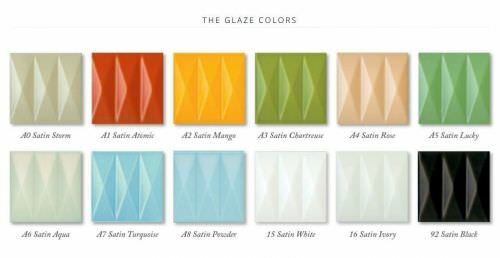 The company told me that the glaze palette is inspired by the bright, iconic color palette of Fiestaware, and the softer hues found in Formica’s boomerang countertops. Retail price is $26 s.f. 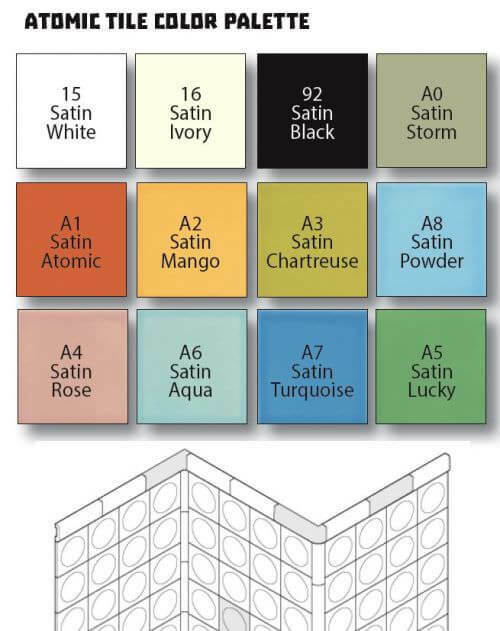 The new Atomic Tile designs can be found here. See all my tile research in the Bathroom Help / Tile Ideas and Help category here. Wow! I have originals of some of these from the amazing estate sale if a local architect’s own modern home (Wendel Harbach,) but not enough to do anything with…… but now I can!!! !